This week, we’re back with another great collection of apps and tools to make your work easier, especially when you’ve got a hectic schedule (who doesn’t?) and running around town in an effort to satisfy all your clients and live your life, too. These design apps with give you some inspiration and allow you to create beautiful prototypes while you’re on the go. Build apps and websites with the use of gorgeous mock-up templates and bring your ideas to life with some of the best illustration apps out there. While it is definitely not a Sketch killer, this app will allow you to create designs and illustrations with ease. Its low cost makes it a great solution for design newbies and enthusiasts who want to try out their skills on a great program without feeling they’ve spent a fortune on the product. Graphic is released for Mac, iPad, and iPhone, and has a lot to offer for its small price. The third version of Over for iOS is finally out and designers are already raving about it. It’s a sleek and simple design app that allows users to play around with typography, do photo editing and create great graphic design projects. With an improved UI and lots of new features to try out, the Over app will allow you to create beautiful design projects from your own smartphone. If you’re tired of popups and windows getting on your way while designing, Concepts is the app for you. This amazing sketching app is praised for its sleek UI interface that simply blends with the canvas. It features a modern and handy color palette and great functionality. This app aims to provide architects with a neat tool for drawing and creating visual prototypes. It allows users to export their files in SVG, DXF, and PSD, making they work even easier when they decide to transfer their work to another design platform. 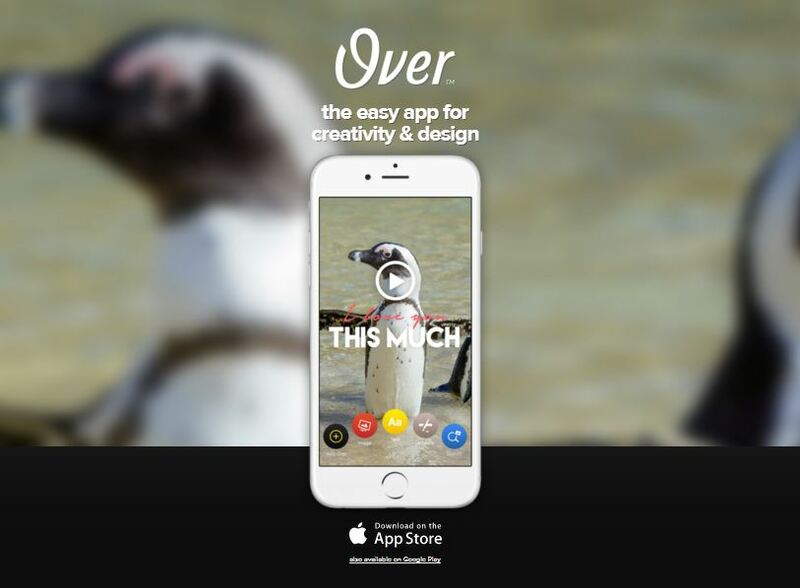 What better way to create app mock-ups than using your phone? 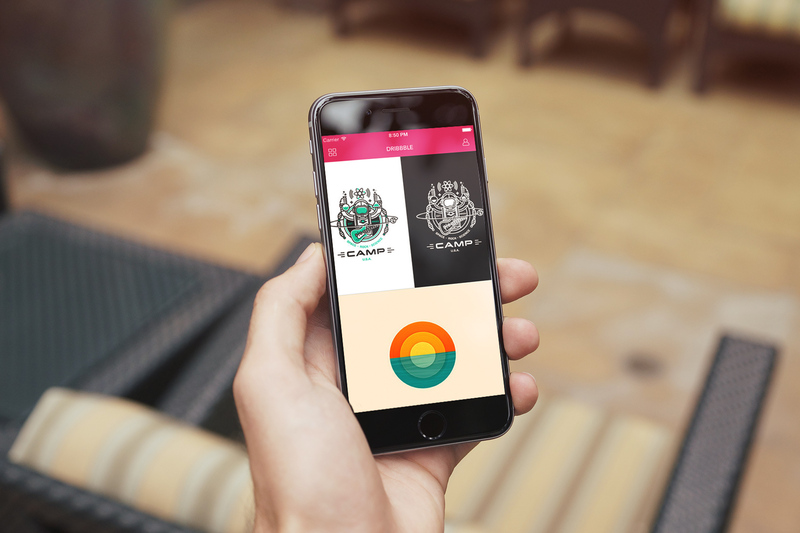 This wonderful design app is created by Steven Shen and makes app prototyping a true delight. It provides a wide range of templates, pre-made elements, and tools for building the ultimate app design right from your mobile design. It’s available on iTunes and allows users to easily visualize their app ideas and share them with friends online. Apple users are all about design. 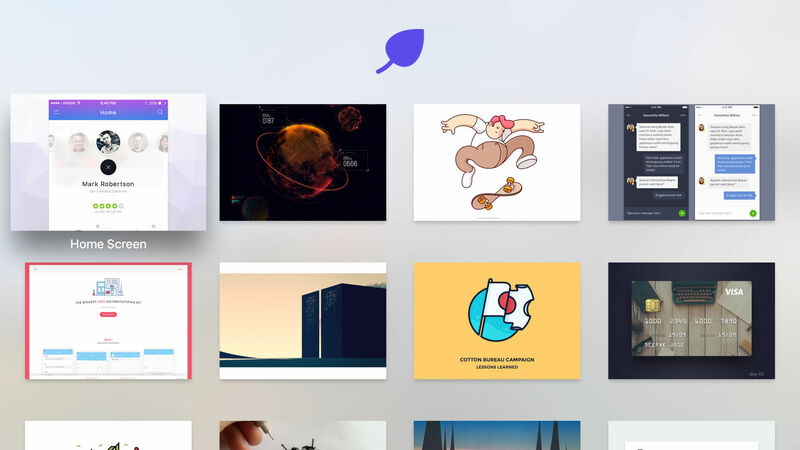 Knowing that, the creators of the Folium app for the new Apple TV have built a leading platform that allows Apple TV users to experience design in a whole new way. Folium has a sleek, minimalist design that perfectly matched the style acquired by Apple. It presents all sorts of inspiration in an elegant way, adding yet another cool feature to Apple’s amazing new product. Tired of endlessly surfing the Web to find the best design inspiration content? Design Hunt carefully curates content from the industry, from app prototyping to illustrations, web and graphic design and many more. The content that Design Hunt shares is carefully selected to ensure only the most high-quality designs are presented to you. HeyUser is created by ElasticCode and presents a gorgeous video gallery where users can share and browse through a collection of mobile onboarding inspiration. HeyUsers allows its users not only to browse their gallery but also to contribute to it with their own app or idea.